What you see and what you hear is what you get when Benjamin Folke Thomas bounds into your musical horizon. The striking Swede with vocals as deep as his excavated song writing is back with a brand new album full of smart, astute content packed with an interesting punch. COPENHAGEN is the title and unravels as an assorted selection of songs stretching the entire spectrum from complex to catchy. One certainty is that this release courts memorable appeal and reaches out to those looking for a slightly offbeat style to their roots music. This is the third album for a singer-songwriter who has shared his habitat between London and his Scandinavian homeland. Residency in the former has allowed Ben to get a foothold on the industry ladder and accrue a decent amount of praise for his recorded music and entertaining live shows. Take your pick for a label to describe his musical style – folk in intrinsic lyrical substance, alt-country in a rousing full band show and distinctly Americana in outlook. All aspects get a look in on the new album as ten self-penned tracks launch a campaign to secure your attention. Individual taste plays an important role in suggesting a starting point for exploring this record. ‘Rhythm and Blues’ rolls into your ear drums with infectious appeal, while ‘Finn’ sets the pulse racing for lyrical wordsmith junkies. On the topic of vocabulary content, the introduction of lines containing words such as narcissism and contamination in album opener ‘Good Enough Me’ indicate that boundaries will be pushed. If you’re looking for a few more options to groove along to then ‘Hold On’ and ‘Bad News’ fit the bill. It’s always a solid offering to have significant parts at each end of the album. Alongside the enhanced lyrical content of the opener exists some rousing guitar pieces, while the record concludes with a resounding closer in ‘Gimme a Small’, revealed in all its acoustic glory. Wherever you look, this release hosts intriguing findings with Nazi resistance and the outcome of thin walls being points to grab your attention. COPENHAGEN is a useful addition to the song armoury of Benjamin Folke Thomas and will continue to bring vibrancy to his hugely engaging live shows. The fruitful hooks and an insatiable desire to scale the lyrical summit primarily add up to this being a profoundly satisfying release. 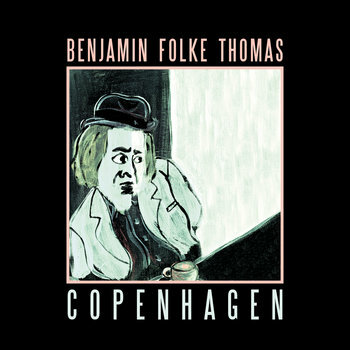 In these challenging times of continental collaboration, the music of Benjamin Folke Thomas acts as a diverse and unique addition to the UK’s independent roots scene. More albums like this will continue to add value.